Dreaming of a White Christmas? Here are the 10 places where you're most likely to celebrate a White Christmas in New England, based on snow statistics from the National Climatic Data Center (NCDC). According to the National Climatic Data Center, there's an amazing 97 percent chance of snow on the ground in Caribou come Christmas. In fact, there's a 57 percent chance there'll be 10 inches or more of the fluffy white stuff. Caribou, located 150 miles from Maine's Atlantic coast and 12 miles south of New Brunswick, Canada, receives about 110 inches of snow each year. 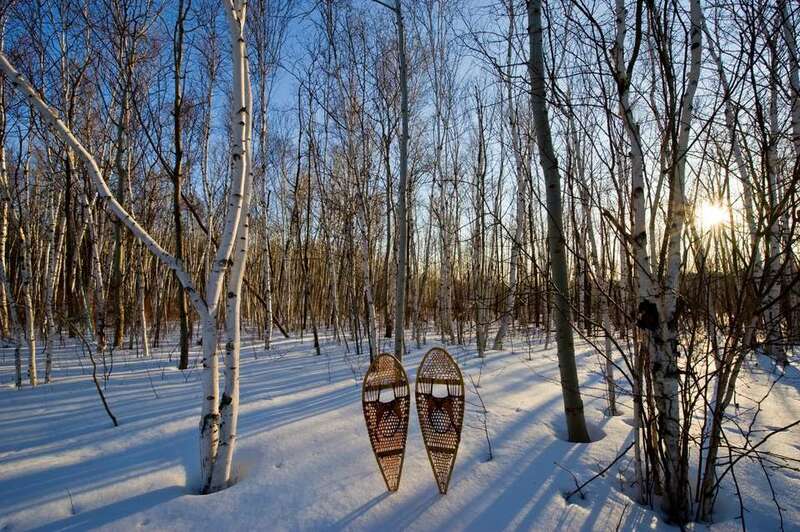 It's a popular winter destination for snowmobilers and cross-country skiers. The NCDC says there's a 96 percent chance there'll be a White Christmas in Houlton, Maine, and a 52 percent chance this northern outpost will sport a snow cover of 10 inches or more for the holiday. Houlton is the county seat for Aroostook County: Maine's northernmost county. Vermont claims New England's snowiest capital city. There's a 93 percent chance you'll find at least one inch of snow here on Christmas day​ and a 41 percent chance the snow will be at least 10 inches deep. Montpelier is also the smallest state capital in the nation, so you'll still feel like you're spending your White Christmas in a charming New England town, not a big city. There's also a bit more to do than in Houlton or Caribou. The National Climatic Data Center's statistics show a 93 percent chance there'll be at least one inch of snow for Christmas in the Mt. Washington area of New Hampshire. There's a 27 percent chance the snow will be 10 inches deep. With ski peaks, cross-country trails, outlet stores, sleigh rides, and wonderful inns and hotels, your winter wonderland holiday getaway is almost guaranteed. Augusta is Maine's capital, and it's also a pretty snowy spot according to the NCDC, which reports a 90 percent chance of snow for Christmas and a 21 percent chance of 10 inches or more. Augusta is less than a three-hour drive from Boston, and its central location will allow you to explore Maine's coastal or inland areas. Concord is New Hampshire's capital, and it receives a surprising amount of snow for its central and accessible location. The National Climatic Data Center's statistics indicate there's an 87 percent chance of a White Christmas in Concord and a 7 percent chance of snow cover 10 inches deep or more. Lebanon, located near the New Hampshire/Vermont border, is a picturesque town in which to celebrate the holidays, and a sparkling coat of snow is a terrific bonus. The NCDC says Lebanon has at least an inch of snow for Christmas 85 percent of the time, and there's a 30 percent chance there'll be 10 inches of snow or more on December 25. It's not surprising that Maine scores four spots on the "White Christmas in New England" top 10 list. Portland is a fun destination year-round, and you'll really enjoy visiting the Old Port's gift shops and restaurants at Christmas time. There's an 83 percent chance you'll need your boots on a snowy Christmas day, and a 13 percent chance you'll be wading through 10 inches or more of frozen crystals. With the college students gone for the holidays, you can make Burlington, Vermont, your spot for a White Christmas. According to the NCDC, there's a 77 percent chance there'll be snow in Burlington for Christmas and a 13 percent chance of 10 inches or more. Be sure to pack a scarf, as the winds off the lake can be ferocious. The Hotel Vermont is a particularly charming choice if you're looking for a place to stay in Burlington. Head north to the town of Massena on the Canadian border if you're looking for a White Christmas in neighboring New York State. Situated on the St. Lawrence River, Massena has snow on Christmas day 77 percent of the time, and there's a 23 percent chance that you'll encounter 10 inches or more of snow.